BEVERLY HILLS, CA; July 23, 2014 — Today at the Television Critics Association Summer Press Tour, PBS Digital Studios in collaboration with Pemberley Digital announced that “Frankenstein, M.D.,” a multiplatform adaptation of the classic novel Frankenstein, will premiere with three episodes on the PBS Digital Studios YouTube channel Tuesday, August 19. Produced by Emmy Award-winner Bernie Su, “Frankenstein M.D.” will feature 24 episodes, each between five to eight minutes. New episodes will roll out weekly on Tuesday and Friday for 10 weeks, culminating in a dramatic Halloween finale on Friday, October 31. “Frankenstein, M.D.” is the first scripted series for PBS Digital Studios and reimagines the title character as Victoria Frankenstein, an obsessive, eccentric prodigy determined to prove herself in the male-dominated fields of science and medicine. Her medical experiments are revisited in a modern university setting. Victoria Frankenstein is a Ph.D./MD student focused on a career as a research scientist. With her colleague Iggy DeLacey (based on the iconic character “Igor”) and mentor, Dr. Waldman, the ambitious, daring genius is flipping the script and creating a new (self-titled) YouTube science show, explaining complex biological and medical concepts to a general audience. As Frankenstein pursues her boldest line of research yet, she makes a shocking series of discoveries that could potentially endanger not only her career, but her life and the lives of her friends. The show stars Anna Lore as Victoria Frankenstein (@VFrankMD), YouTube comedian Steve Zaragoza as Iggy DeLacey, Brendan Bradley and Sarah Fletcher as Victoria’s childhood friends Eli and Rory, and Kevin Rock as Dr. Waldman. Joe Hanson, Ph.D. biologist and host of PBS Digital Studios series “It’s Okay To Be Smart,” will serve as a science consultant for the series. The series is filmed at YouTube Space LA. 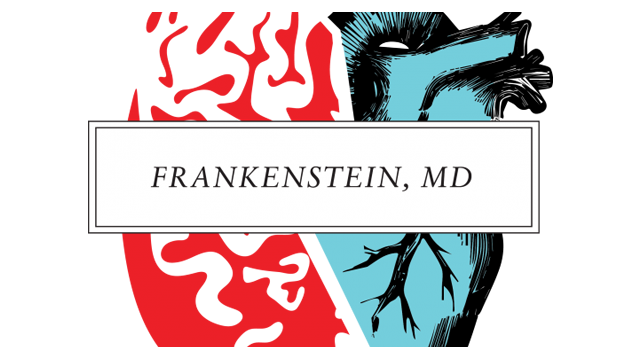 “Frankenstein, M.D.” will join PBS Digital Studios’ lineup of critically acclaimed series, including Webby-Award winning “PBS Idea Channel” hosted by Mike Rugnetta; “Blank on Blank,” which animates lost interviews from cultural icons such as Grace Kelly, John Lennon and Tupac Shakur; and a reboot of “Pancake Mountain,” a musical variety show for kids of all ages, created by filmmaker Scott Stuckey and featuring some of the biggest names in music, including Kings of Leon, Jason Mraz, The White Stripes and Katy Perry. PBS Digital Studios also includes more than a dozen co-productions with PBS member stations across the country. An innovative web video production company that specializes in the adaptation of classic works onto the new media format, the company utilizes not only YouTube, but other social media platforms such as Twitter, Facebook, Tumblr, Pinterest, LinkedIn, LOOKBOOK and others to tell an enriched and immersive story that transcends across multiple formats. The PBS Digital Studios network on YouTube includes more than 30 online original series, including more than a dozen co-productions with PBS member stations across the country, designed to engage, enlighten and entertain online audiences. The PBS Digital Studios network has more than one million subscribers and has generated more than 90 million views. Series include the multiple Webby Award-winning PBS Idea Channel, as well as popular series such as Blank on Blank, It’s Okay To Be Smart, Everything But the News and more.